If you have a pattern specific question, please either leave a comment on the specific pattern post, add a link to the post in question, or include the specific pattern name in your contact request. This will help me assist you in a more efficient manner. 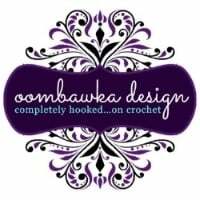 As an example, if you have a question about one of my double crochet hat patterns – please include which double crochet hat pattern and which size hat you are working on. Then I may be able to answer you the first time I respond, instead of needing to ask you for more information first 🙂 Then you can get back to crocheting that much faster!